A getaway to The Inn, Farmhouse & Brewing Co. at Turkey Hill is truly a destination on its own with wonderful accommodations, food, and beverage options all located on one property. Yet, there are so many great things to do in our area while you are visiting with us on your Pennsylvania vacation. The air is crisp and cool, and the days are short. It’s the perfect time of year to take off on an overnight adventure in search of some special antiques or unique treasures that may come your way. You and your spouse plan a mid-week getaway to The Inn, Farmhouse & Brewing Co. at Turkey Hill because you know this area has a nice variety of antique outlets, thrift stores, and gift shops all within a close distance of one another. As your shopping winds down, you couldn’t be happier with all the surprising things that you’ve discovered and all the unique places that you’ve been. You even got a lot of your holiday gift ideas in order. But now that the treasure hunting is over, it’s time to enjoy some of the amazing fine dining at The Inn, Farmhouse & Brewing Co. at Turkey Hill. You’re seated in the “Stencil Dining Room” which goes along perfectly with the antique theme of the day, as it is part of a beautifully restored, 1839 farmhouse. The chef has created the most wonderful dinners, only to be complete with one of a variety of outstanding desserts. It’s been quite a day, and your room awaits for you to relax, enjoy the fireplace, and get refreshed for tomorrow’s discoveries. Maybe you’re into running races, or even a marathon; maybe some wild mountain biking is your passion. Every season in the Columbia and Montour County area is full of opportunities to compete and have fun. So, you check into your room on a Friday afternoon. You know tomorrow is going to be a big day, so you want to really eat well tonight. The decision is made, that some fine dining at The Inn, Farmhouse & Brewing Co. at Turkey Hill will be just right. Oh yes, the entreés are delicious, and the atmosphere is very relaxing. This was the best pre-race meal ever! Back at your room, you decide to share a nice bottle of wine as you think of your morning race strategy. The big event has come and gone. You were well rested and ready. You ran your best, you were crazy on that bike; no matter what your choice of event, you had a great time. But now, back at the inn, it’s time to celebrate the day by visiting the Turkey Hill Brewing Company. Just walk over from your room, no driving, no streets to cross. You love a good brewpub, and have been excited to sample some of their finest. You decide to pair your brew with some Shepherd’s Pie, although the flatbread pizza, or a burger sounds pretty good too! A short walk back to your room has you and yours, resting comfortably until morning. You and your family love speeding down the slopes on your skis and snowboards, and you love the Poconos, but the drive back and forth just seems to take forever! But now, you’ve come up with a great idea; something that gets you closer to the slopes, without the ski resort rates. 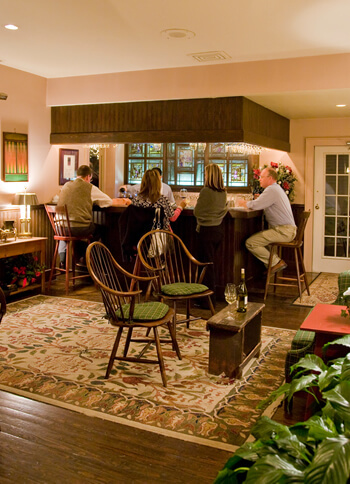 You’ve set up a nice family winter getaway to The Inn, Farmhouse & Brewing Co. at Turkey Hill. You arrive in the afternoon and check into your room. Everyone says it reminds them of home, except for the fireplace, which to the kids “looks pretty awesome!” “Let’s go eat,” you say, and everyone takes the short walk over to the Turkey Hill Brewing Company. Casual dining with pub fare, burgers, pizzas, and salads definitely has something for everyone. And, let’s not forget the hand crafted beer, which has even made a name for itself back in your hometown… oh yeah, good stuff! Come morning, everyone enjoys a really tasty continental breakfast, and you’re on your way to a full day of Pennsylvania’s best ski resorts. And the best part is, they’re only an hour or less away. Jack Frost, Big Boulder, Camelback, Sno Mountain… the Pocono’s finest offerings are just a short drive away. No long drive grogginess for you, you’ll get there excited and ready to go! And when your fun on the slopes is done, you’ll be able to settle into a nice evening meal or into your comfortable room in no time. The evening will be yours to enjoy, and not stuck traveling all the way home. But, the absolute perfect ending to your family ski getaway is the fact that when you leave The Inn, Farmhouse & Brewing Co. at Turkey Hill in the morning, you’ll already be halfway home! Everybody loves brewpubs. It’s so much fun to sample all the rich flavors that a fine brewer can create. 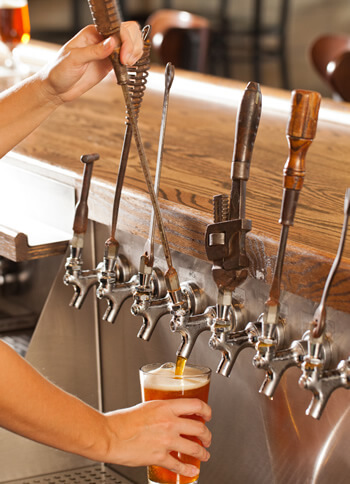 Wouldn’t it be cool if you could actually stay at a brewpub all weekend? 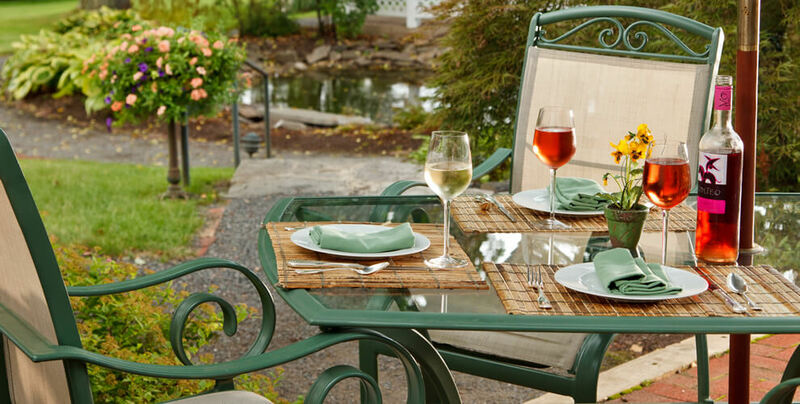 Your getaway to The Inn, Farmhouse & Brewing Co. at Turkey Hill may just fulfill that dream! Imagine a brewpub tour dé force. That’s what you’ll find, all within minutes of The Inn, Farmhouse & Brewing Co. at Turkey Hill. Danville, Bloomsburg, and Berwick all feature some of the best brewpubs in the northeast, with our favorite being right here at the Turkey Hill Brewing Company. Plan your getaway around visiting a variety of our area’s brewpubs, then end your evening by enjoying casual dining and the hand-crafted excellence of our finest offerings. The Turkey Hill Brewing Company is just a short, sidewalk’s stroll from your comfortable room at The Inn, Farmhouse & Brewing Co. at Turkey Hill. Relax and enjoy your evening. And when you’re done, settle in and watch a movie by the fireplace, or share a bottle of wine and some fine cheeses. This is your time to have an outstanding getaway! You and your spouse love the arts, and you’re always intrigued by the abundance of talent found in smaller communities throughout the Northeast. That’s why you’ve chosen The Inn, Farmhouse & Brewing Co. at Turkey Hill as your getaway destination to experience the burgeoning arts community of our region. Your first evening begins with some incredible fine dining at The Inn, Farmhouse & Brewing Co. at Turkey Hill. Your meals were outstanding, the preparation and presentation was amazing. As your dessert arrives, your spouse tell the server that “it’s absolutely beautiful, I almost don’t want to eat it… almost!” It’s delicious. After dinner, it’s off to a performance of the Bloomsburg Theatre Ensemble, a nationally known ensemble that has been performing for more than 35 seasons at its own Alvina Krause Theater in Bloomsburg. The play was wonderful as you head back to the Inn for a night cap and to settle into your room. The next day brings many more cultural opportunities your way as the community and region abound with unique venues. Perhaps you’ll visit the Moose Exchange, Bloomsburg’s newest artistic and community center. There you can see various artists’ studios and their work or view what’s hanging in the Stairwell Gallery. Visit local galleries like Artspace, or perhaps you’ll decide to travel west just a bit to Williamsport, where establishments such as the Converge Gallery feature some of the most sought-after artists between here and New York City. When your day of cultural enjoyment is complete, you decide to head back and enjoy a sampling of the wonderful brewed creations of the Turkey Hill Brewing Company. It was just a short walk over from your room at the Inn. Now, you can enjoy a casual atmosphere, delicious food and beer, some entertaining live music, and a great night of conversation. Your getaway was a truly enriching experience! Wouldn’t it be great to arrive at The Inn, Farmhouse & Brewing Co. at Turkey Hill on your first evening, get yourselves and perhaps the kids settled into your room, then enjoy a relaxing dinner at either the Inn, or walk over to the Turkey Hill Brewing Company for some casual fare and a drink. After a comfortable night’s rest, you wake up to a nice breakfast, then get ready for some real outdoor fun. Before you know it, with arrangements from one of our area’s adventure outfitters, your whole family could be safely kayaking down the calm waters of the Susquehanna River. The wildlife and natural surroundings are beautiful, and the light breeze adds a pleasant addition to the journey. Yes, you’re not mistaken, you DID see a bald eagle, as a number of eagle families make their home along our stretch of the river. Everyone continues on their way, reaching the exit point with huge smiles on their faces. You arrive back to your room at The Inn, Farmhouse & Brewing Co. at Turkey Hill just in time to wind down and plan for your evening meal. Will it be a fine dining experience at the Inn, a tasty pint with some flat bread pizza at the Turkey Hill Brewing Co., or a little bit of both. Either way, a great evening is sure to be had, and you’ll be ready to start your next day’s adventure. Wow, this is going to be good. The entire family really needed a chance to do something fun together; an opportunity to get away and have a great time without taking a week to do so. You arrive at The Inn, Farmhouse & Brewing Co. at Turkey Hill on a beautiful morning to confirm all of your arrangements. As you expected, everything is all set. Today is the day that you’ve decided to take the family to Knoebels Amusement Resort. It’s only a short 25-minute drive from the Inn. When you arrive, everyone is amazed at how much is going on. The hardest thing to do is choosing what to do first. What an exciting afternoon it was, spent riding the awesome roller coasters and countless other rides, all the super fun games and attractions, and especially trying all the delicious treats. Everyone was so happy and the day just flew by. Back at the Inn, everyone is excited about the room. “Check out the couch and the flat-screen. It’s just like home,” says one of the kids. Then, you all enjoy some refreshments brought over to the room, as you relax and get ready for dinner. You leave your room and walk over to the Turkey Hill Brewing Company. What a cool place, you can see the entire brewing operation as you wait to be seated, and the menu’s got something for everyone… even a kid’s menu. While enjoying dinner, another guest lets you know of a local carnival that is in full swing for the rest of the week, just a short distance from here. In fact, during the summer months there always seems to be a carnival happening in this area. Looks like the agenda for tomorrow has been set. You’ve just gotten settled into your suite at The Inn, Farmhouse & Brewing Co. at Turkey Hill and now you’re ready to do something. You’re the kind of folks to whom relaxation means being active; and for you that might entail a brisk walk, a little running, or maybe even some mountain biking. You have a lot of options within a 15-mile radius, but you choose to head down to Danville to the Hess Field Recreation Area. You like to be prepared for anything, so no matter where you go, you always have your bikes on the rack “just in case.” You check out the place and decide to go for a run on the Robbins Trail, which is actually the oldest “rail-to-trail” in the country. As you’re taking your run, you notice a bunch of wooden structures placed about. Some look like little bridges, others look like… could it be… jumps? You excitedly say to your spouse “no way, they have a mountain bike park!” Good thing you came prepared. The day was so much fun and now you’re both ready to celebrate it by sampling some of the delicious brews which are all hand-crafted right here at the Turkey Hill Brewing Company. And what to eat? There are so many great choices, but tonight you’ll both choose an incredible “home-grown” burger. The room is feeling really comfortable, and there’s a great movie playing, so you decide that a night cap is in order. Within minutes a wonderful wine and cheese service arrives at your door and you’re good to go. You talk about tomorrow and your plans of hiking and fine dining. Your family loves to hike. What a great way to spend time together and enjoy the great outdoors. You heard that The Inn, Farmhouse & Brewing Co. at Turkey Hill was a wonderful place for a family getaway, but can you tie the two together? Absolutely! Imagine enjoying a great evening meal then waking from a very comfortable night’s rest, to gather your things and head out just a short distance from the Inn to one of numerous premier hiking destinations. You arrive at Ricketts Glen State Park, just 30 miles north of Bloomsburg and begin to experience some of the best hiking anywhere. Everyone is in awe of the many waterfalls you see along the way, along with the old-growth forest, and the wide range of wildlife that seem to be showing everywhere. “Was that a wild turkey, those things are huge, you exclaim as one flutters across your path. Should you keep hiking or stop and take a swim? There is so much to see and do, you’ll most certainly have to come back. Back at the Inn, your family is ready for a fine dining adventure with usual and unusual cuisine, all prepared to your liking by a top-notch chef. And your dessert… unbelievable. You’ve outlasted the kids today, they’re almost asleep as they watch a movie on the widescreen. Looks like there’s nothing left to do but walk over to the Turkey Hill Brewing Company, which is just a few steps away, and finish the evening by sampling a few of their finest brews. Once again, your whole gang wakes up refreshed and ready to hike yet another beautiful, nearby destination. You really love the pursuit of homegrown foods and fresh, local produce. You also enjoy patronizing locally owned businesses. In fact, that’s what first attracted you to The Inn, Farmhouse & Brewing Co. at Turkey Hill. Upon your afternoon arrival, you and your spouse settle into your room and take a relaxing stroll around the property. After checking out the lay of the land, you decide to venture out in search of some homegrown treasures. Eating healthy and finding fresh foods has been your passion the past few years, and it’s always so much fun to find new places, wherever you go. Your first stop is just down the road to the Columbia Montour Visitors Bureau office to gather as much information as you can. You’re amazed to find just how many produce and farmers’ markets there are within a short drive. You head across the river to Rohrbachs Farm Market. What a great place to pick up an entire cooler full of your local favorites. Hours could be spent just looking around, but the both of you decide it’s time to head back to the Inn for dinner. Fine dining is on the agenda tonight, and you’re delighted to find that both The Farmhouse at Turkey Hill, our fine dining restaurant, and the Turkey Hill Brewing Company incorporate as much locally grown food into their menus as possible. A wonderful dinner, with satisfying local ingredients make you both happy. As you talk with the chef, you learn about where some of these foods came from and how you can easily purchase them for yourselves. After a late evening glass of wine at the quiet guest tavern inside the Inn, you turn in for the night with plans of shopping for and experiencing a lot more of our area’s finest products.